Selling on eBay is so easy! Bonjour lecteurs! As you may know, the Frenchie family is moving house. Since then, I have been in a cleaning frenzy. Non pardon, it’s a massive lie. Let’s say that I cleaned more but it was not une révolution… I was too busy meeting Emma Bunton or checking out the new fabulous Jacadi shop in Battersea. But something I really did? I decluttered the house. I have so many bags, magazines, shoes and other wonders. As I went through all my so précieux stuff, I decided that I would try to make some money as well. I have been using eBay for years, mainly to buy chic handbags and books. But for the first time, I was offering my items to buy. Selling on eBay is so easy! Let me tell you about it! Do you need some money now? We are all guilty of it. We have many things we don’t even use anymore. My wardrobe is full of dresses I have not put on for a year or so, but yet I can’t get rid of them! Mais sometimes, you have to take the plunge and simplement do it! If you need some money now, eBay is la solution, especially if you want to clear out your place too. A happy maman means a happy baby! We have never done so before this month. I don’t know why but I had in mind that it would be too much of a hassle and I could not be bothered. Worried that it would take too long and it would not be worth my time, I never considered it. I put two items on eBay this month and I must say I was happily surprised with the results. How wrong I was to think it would be compliqué et difficile! Just follow these simple steps and you are in to make some cash while relaxing in bed with a good glass of wine! Once you are done, you can see a preview to make sure you like it. Convinced? Save it and you are now officially a seller on eBay! It literally took me less than 5 minutes to put my items on the website! 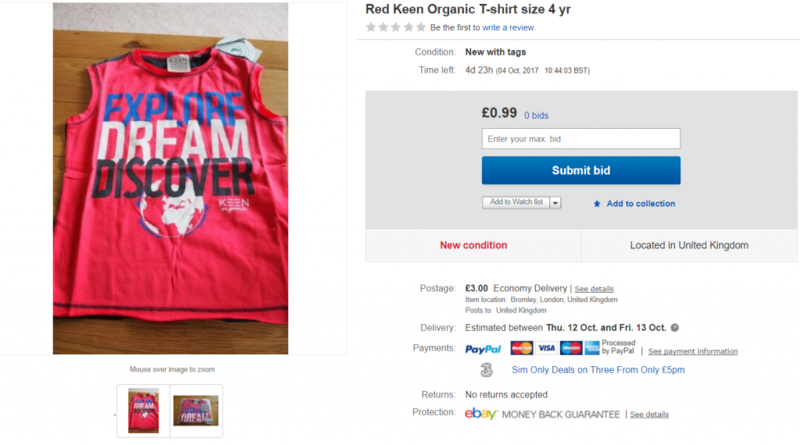 My first item, an organic t-shirt was on eBay without any complication. I was very surprised to see that within 5 minutes of being live, 2 people already saw my ad! It was so fast! This gorgeous top is still on sale if you fancy it! Now that I have done it for the first time, I will definitely do it again in the future! I am so happy it took so little time! While the red top didn’t sell the first time, relisting it was easy too with only one click and I then decided how long I wanted to put it on for. I am also delighted to see that our second item, a cute bag is selling well. Do you feel like bidding on this gorgeous item? Decluttering leads to clear space so clear mind! 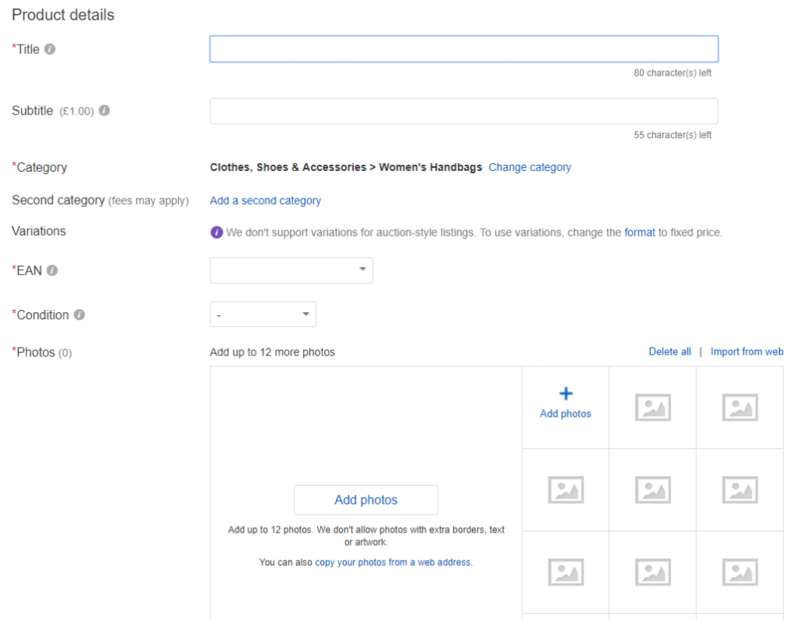 Are you ready to sell on eBay? I am so happy I took the plunge as selling on eBay is so easy! It helps me to get rid of things I don’t really use. Plus it gives me a little bit of extra cash. Next step for me? I will try the app on my phone as it’s as easy and fast. Frenchie Mummy is making some extra cash! 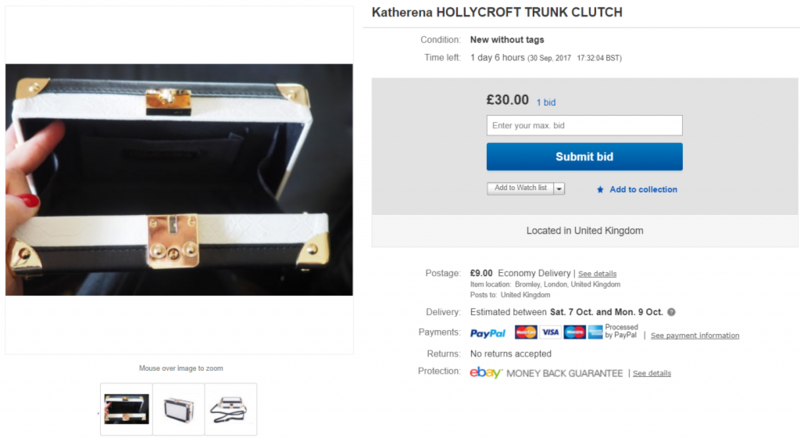 Have you ever sold some objects on eBay yourself? If not, make a start now. You won’t regret it and it is so simple! You can sell on the go and with millions of buyers on eBay ready and waiting, there’s no better place to do it! When we moved to Sweden, I did the same as you – we sold pretty much all our furniture, garden furniture and clothes! Love that the large items people just come and collect – perfect! Not only did it get rid of the things we no longer needed, it gave us a few extra quid in our back pocket, so win-win! I luuurve Ebay! It’s brilliant at this time of year to make way for Christmas stuff and I think lots of people are on there at the moment trying to GET bargains. I literally just ordered 3 second hand pressies for my daughter’s 4th birthday…saved me a bomb! I have a bunch of things I need to put on eBay. I just always end up shoving things in cupboards and forgetting about them! It’s only when it all overspills that I actually get round to it but it’s an awesome platform. Ebay is great and the app makes it so much easier to sell stuff. Really helped in the run up to us emigrating! Great idea! I’ve not used ebay for years. Wish I’d seen this post before we did the minimalism challenge – could have made some money! I have also started selling on Ebay recently, after putting it off for so long out of fear of the unknown. It really is great isn’t it. I have also started selling on Ebay recently, after putting it off for so long out of fear of the unknown. It really is great isn’t it and so easy to use.